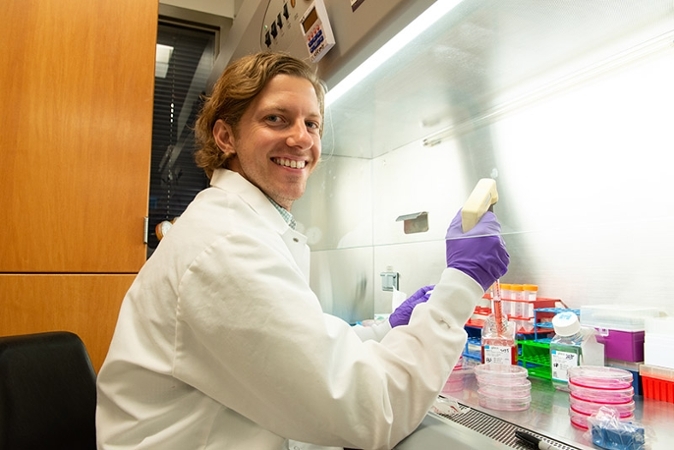 Brain Health Consortium researchers get subsidized use of the research cores including patient-derived pluripotent stem cell generation. The Stem Cell Core provides processes induced pluripotent stem cells (iPSCs), regulatory support, laboratory supplies, and research guidance with groundbreaking technology. 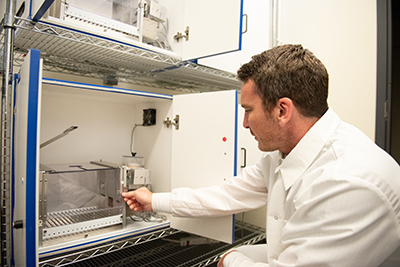 The Behavior Core Facility provides support and training to help increase throughput while promoting rigor and reproducibility in behavioral testing using cutting-edge techniques. 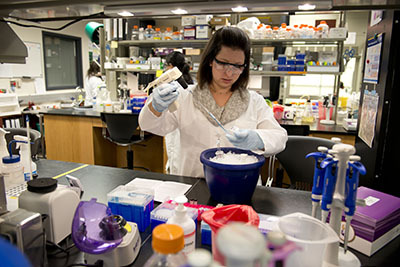 The Genomics Core Facility prepares and sequences DNA libraries for Next Generation Sequencing, including whole genomes and whole transcriptomes. It also prepares nucleic acids from single cells for genomic analysis. 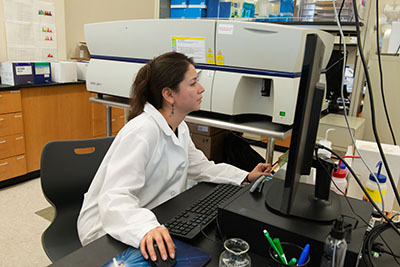 The Cell Analysis Core Facility provides centralized services, training, access, and support to researchers in the usage of flow cytometry equipment and related services including technical training opportunities. 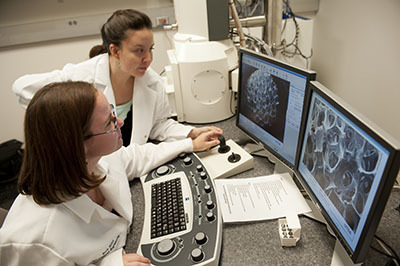 The RCMI Biophotonics Core Facility provides cutting edge technology for the study and manipulation of biological samples using light, including long-term in-depth imaging of live tissues and the technology to probe at the molecular level for protein-protein interactions within live samples. 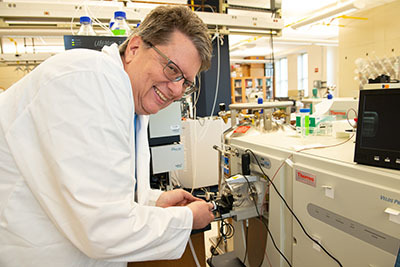 The RCMI Computational Systems Biology Core Facility provides computational support for basic and translational health research, including computational infrastructure to support modeling and simulation of biological systems, live cell imaging, and protein biomarker research. 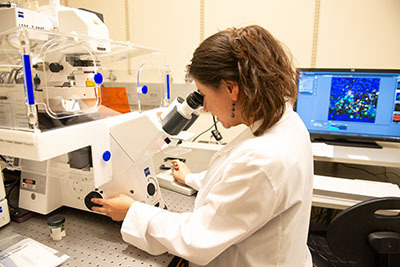 The RCMI Nanotechnology and Human Health Core Facility focuses on the synthesis and characterization of nanomaterials for imaging, labels for bioassays, and active targeting for in vivo or in vitro diagnostics. 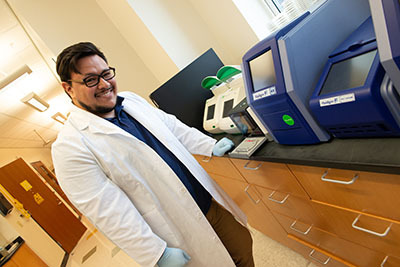 The RCMI Proteomics and Protein Biomarkers Core Facility is focused on capillary liquid chromatography-mass spectrometry (LC/MS) and -tandem mass spectrometry (LC/MS/MS) to identify, characterize, and quantify proteins.